The Mummy, released last month (June 9th, 2017) in the USA and Canada, is the latest in the long-established franchise that started in 1932. Tom Cruise stars in the latest reboot playing the charming boy-scoundrel Nick Morton who, while stationed in Iraq, seizes the opportunity to hunt for antiquities. The Mummy has already received countless reviews for you to peruse in terms of its casting, cinematography, plot holes, and lack of Brendan Fraser (although the Book of Amun-Re from the 1999 film does make an appearance!). For this review, the Nile Scribes do what Egyptologists do best: talk about ancient Egypt. 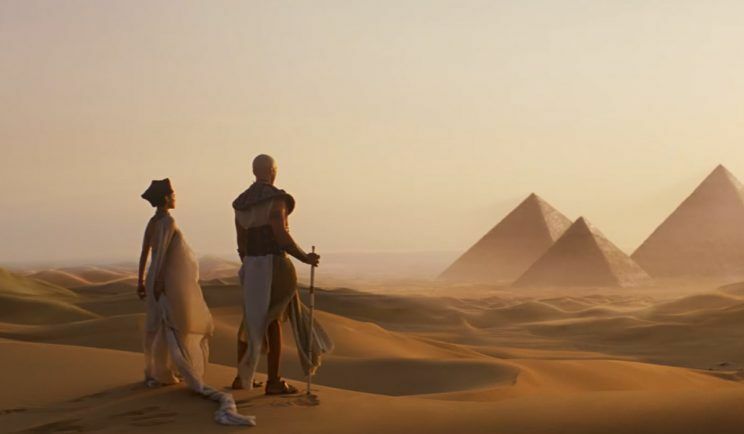 All too often, films like this one become the only interaction the general public has with ancient Egypt, something even more true since the Egyptian Revolution in 2011, when international tourism to Egypt has been at an all time low. Unfortunately, we only get to see the ancient Egyptians in brief flashbacks: princess Ahmanet with her father the king, and a couple quick glimpses into the royal palace. Historians have rolled their eyes at the ethnically inaccurate casting of ancient Egyptians since the beginning of filmmaking, including such decisions as: Yul Brynner as Ramesses II, Sigorney Weaver as Queen Tuya, and Gerard Butler as Seth. The original mummy himself, Boris Karloff, in the 1932 film was a British actor. For this retelling, princess Ahmanet is played by Sofia Boutella, an Algerian-French actress, and her father King Menhepetre is played by Selva Rasalingam, a British actor of partly Tamil descent (of South India and Sri Lanka), making these perhaps the most ethnically accurate casting decisions made for ancient Egyptians in the mummy franchise, to date. Our mummy antagonist is the Egyptian princess Ahmanet, the first female mummy of the franchise. Her name means “the hidden one” and is obviously a replication of the name of the goddess Amunet, consort of the god Amun (Amunet is the feminine form of his name). There were no doubt numerous historical Amunets but our villain does not appear to be based on a known person. 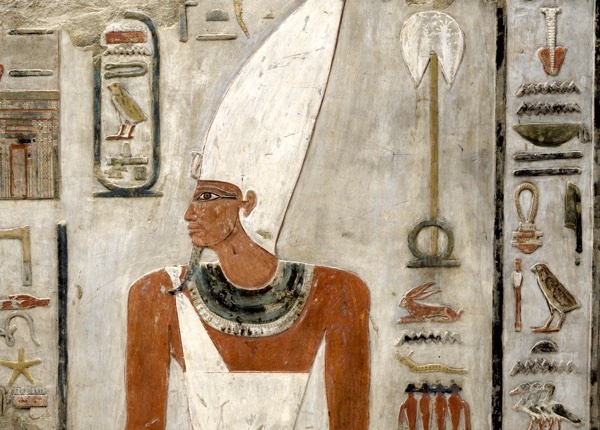 Her father, King Menehptre, whose name might mean “the established one is the steering oar of Re,” is also not a historical person, but his name sounds like a phonetic conglomeration of the throne and birth names of Mentuhotep Nebhepetre (II), pharaoh of the Eleventh Dynasty and founder of the Middle Kingdom. The source of the “mummy’s curse,” and Ahmanet’s powers, is the Egyptian god Seth, the god of chaos and disorder, deserts and desert animals, foreigners and foreign lands. The powers granted to Ahmanet by Seth don’t seem to have many in-world limitations. Through his power, she is endowed with tattooed symbols (that aren’t Egyptian hieroglyphs for some reason) and a set of fearsome powers. She controls swarms of rats, birds, and camel spiders (a non-venomous arachnid that lives in desert biomes like Iraq); drains the life out of living persons with a kiss; raises an army of undead crusaders with a single command in ancient Egyptian (weben, meaning “to rise”); and shatters all of the windows in downtown London. While Seth does not actually make a physical appearance, he is represented as the god of death throughout. The Egyptians would have understood him as the negative counterpart to Osiris, whom he killed only for Osiris to return as god of the underworld. An equation as god of death, though, reflects more Western attitudes with connections to Lucifer or Satan. The legendary dagger of Seth with a ruby on its hilt is central to Ahmanet’s plans. Crusaders stole the dagger and took it to England; the ruby was buried with a crusader and the dagger was hidden away in a mediaeval reliquary. The use of rubies in Egypt did not come about until the Roman period (or over 1,500 years after the plot of the film), when the stone was imported from as far away as India. Egyptians did believe, however, that materials had symbolic properties and were often associated with positive or negative connotations. “Death is the doorway to new life. We live today. We shall live again. Many examples of prayers inscribed by individuals on stelae or ostraka (sherds of broken pots) were often directed toward a specific deity and survive from ancient Egypt, but the writers of The Mummy have not used an authentic example of such prayers. Despite this, quite a bit of the film’s dialogue is spoken in the ancient Egyptian language (and correctly! ), which means that an Egyptologist was responsible for translating the lines from English into Egyptian for the film (we scanned the credits for the Egyptologist(s) who consulted on the film, but either they have not been credited or we missed them. If you know who they are, please let us know!). Egyptologists take much of their understanding of the language’s pronunciation from Coptic, the last phase of the Egyptian language and a language still used liturgically today in Coptic churches. For students of Egyptology (like us! ), we learn to read the signs aloud, but our pronunciation varies from school to school based our tutelage. Pro-tip: they’re called hieroglyphs not hieroglyphics! ‘Hieroglyphic’ is an adjective, while ‘hieroglyphs’ is a noun that means “sacred carvings” in Greek. Shame on our fictional archaeologist for the mix up! Our first glimpse of ancient Egypt in the film is a bizarre (and very un-Egyptian) wall carving of hieroglyphs discovered in the crusaders’ catacombs. 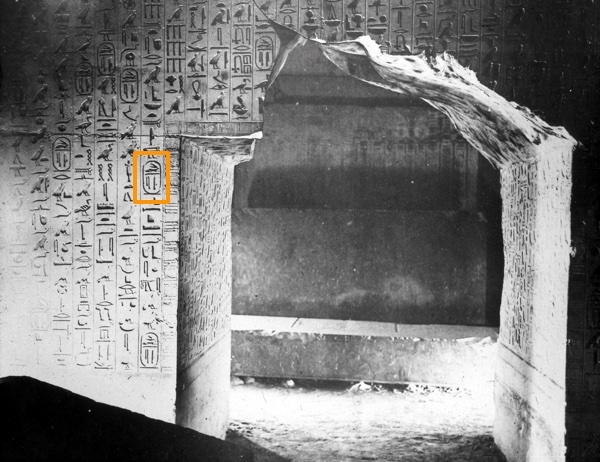 While we only get a brief look, a cartouche of King Unas (last king of the Fifth Dynasty of the Old Kingdom) is visible in the hieroglyphs, if you’re quick enough to try and read them. Unfortunately his cameo is entirely arbitrary – we learn later that our mummy Ahmanet was a New Kingdom princess during her lifetime. Confusingly, Jenny (Annabelle Wallis), the film’s “archaeologist for hire,” dates the New Kingdom (1,550-1,069 BC) to 5,000 years ago, or around 3,000 BC, a period that most Egyptologists ascribe to the Early Dynastic period. However, Ahmanet’s story does seem to be a nod to Hatshepsut, famous Queen-turned-King of the New Kingdom who became co-regent with her stepson Thutmose III, when her husband, Thutmose II, died while his heir was still too young to rule Egypt alone. Hatshepsut’s solution is more cunning than Ahmanet’s, who simply makes a pact with the god Seth for eternal life and power. She promises to aid Seth in his desire to rule with her in human form and then kills her father, his queen and the newborn prince (after a few years of ruling alongside her stepson, Hatshepsut declared herself king, even changing her image to that of a man’s). Curiously, in the very beginning of the film, Egyptian priests pour mercury into Ahmanet’s coffin and lower it into a “ritual well” filled with mercury (the archaeologist explains that the Egyptians believed the material wards off evil). Ancient Egyptians, of course, never did use the commodity in this capacity; there is little evidence of mercury from pharaonic times. Red mercuric sulphide (Cinnabar) is present in Egypt and was used to create a bright red pigment, or mixed with other metals as a compound (especially gold and silver) as early as the 5th century BC. As punishment for murdering her father, princess Ahmanet is mummified alive and taken far away from Egypt to be buried outside the pharaonic lands. The ancient Egyptians believed that the foreign lands were under the tutelage of the deity, Seth, another (unseen) antagonist of the film. While there isn’t any evidence of an ancient Egyptian royal burial outside of Egypt, the filmmakers’ adoption of this idea finds corroboration in Egyptian attitudes to being buried abroad in Egyptian literature. In the well-known Story of Sinuhe, the protagonist laments the possibility of dying outside of Egypt and feels redeemed, when Pharaoh welcomes him back to pharaonic lands to be buried here. The location of her burial under an Iraqi village seems striking. Egyptian tombs are normally located on the west bank of the Nile (as Egyptians believed that the entrance to the underworld is found at the place where the sun sets) in close proximity to the river’s floodplain. The village is not located near a body of water – a fact perhaps emphasising her wrongdoing and offence of the gods. The tomb’s entrance and a monumental face, uncovered after an airstrike on the town, marked the location of a huge underground cavern. The face wears a nemes-headdress (a sign of royalty) and evokes a loud scream. The style and overall carving of the face does adopt some Egyptomanian aspects, though like Ahmanet’s coffin it could have used more Egyptian influences. At the bottom of the cavern a shaft was filled with mercury and was encircled by four statues of Anubis, their faces pointing toward the centre. This is obviously a way for the deity to ‘guard’ over the tomb, ensuring the evil stays contained. Egyptian tombs are famous for their many books of the afterlife that are inscribed on the walls: a normal burial would encourage the deceased to be born again through these texts. Ahmanet’s burial lacks these texts entirely, instead, she is watched by the protective gaze of Anubis. 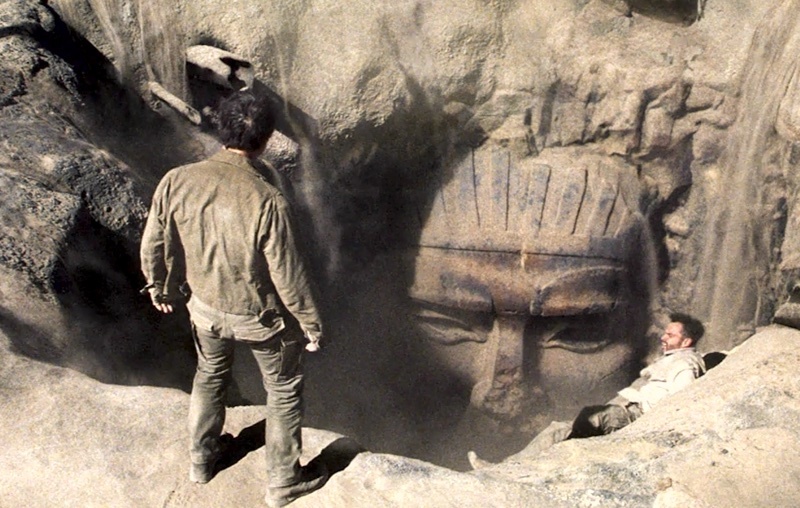 The opening sequence is a chilling look into how a colonial power asserts its quest for antiquities in far off lands. The overall sentiment of the opening is a disrespectfully light-hearted portrayal of the destruction and looting currently happening in the war-torn landscape of Iraq (Iraqi forces are poised to liberate Mosul from the Daesh (ISIS) this month). Nick and his partner Chris Veil (Jake Johnson) possess a map that tells them a cache of treasures is to be found in a northern Iraqi village, appropriately named Haram, or “forbidden” in Arabic. As they run into the insurgents almost immediately after entering the village, they do not toy for long with the threat of the insurgents and call in an air-strike. The village is flattened, the insurgents leave, and the protagonists are at last in peace to claim the spoils and pillage Ahmanet’s tomb, declaring that they are not looters but “liberators of antiquities.” The absolute carelessness of our protagonists in approaching members of a different culture is enough to bring chills to the spine of the modern archaeologist. The field has long struggled with the ever-changing regulations of the countries we work in; archaeologists were once allowed to export their finds back to their respective countries with only minor limitations. The film, perhaps unintentionally, gives a nod of approval to the many antiquities dealers or professional looters, who combed through Egypt and the Middle East over the last few centuries, filling the coffers of many modern museums in the process. The situation is not helped with the stereotypical portrayal of sand dunes, village terrorists, and endless, seizable treasures – all elements we associate with the Middle East. What is surprising is that the scenes were not even filmed in the Middle East, but within continental Africa in Namibia. The discovery of the ruby from Seth’s dagger’s by a construction crew in London who were digging railway tunnels gives viewers a realistic, if somewhat embellished, glimpse at one way antiquities and archaeological sites are commonly discovered in the modern era. 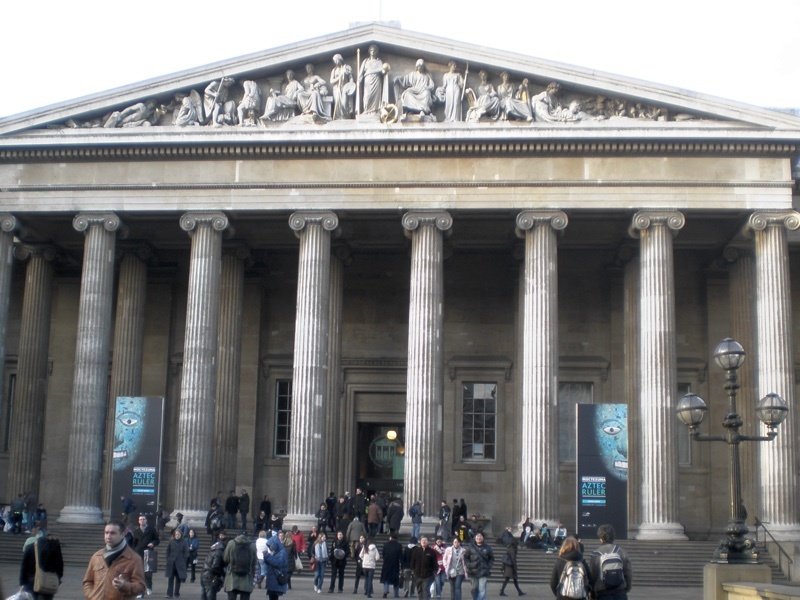 Construction projects in all parts of the globe often reveal secrets of the past that have long been buried, especially in cities that have been continuously inhabited for centuries. Only months ago an aqueduct dating to the 3rd century BC was discovered in Rome during construction of a metro line. Our biggest disappointment was just how little Egypt features in the film at all, which takes place entirely in Iraq and the UK (and filmed in the UK and Namibia). Moviegoers get a couple quick glimpses of a computer-generated Giza plateau, and a typical Hollywood-ified ancient royal palace in flashbacks of Ahmanet’s life, but otherwise, our Egyptian mummy finds herself in a C-130, medieval churches and catacombs, and the Natural History Museum in London (although wouldn’t the British Museum have been a more fitting place for her to wind up?). If you’re looking for a heavy dose of ancient Egypt in your life this week, you might want to look elsewhere. But if you always wanted to see an Egyptian mummy command an army of zombie crusaders while Dr. Jekyll/Mr. Hyde attempts to rid the world of supernatural evil, this is your film. Fantastic. Both educational and entertaining. A great blog I’ll share with many. Makes one wish Hollywood writers would do some research before attempting fiction. Perhaps it would even improve their plot. Great piece, and very informative. Thank you. Keep it up!